What is a Clairvoyant Reading Anyway? – Embrace Your Radiant Truth! 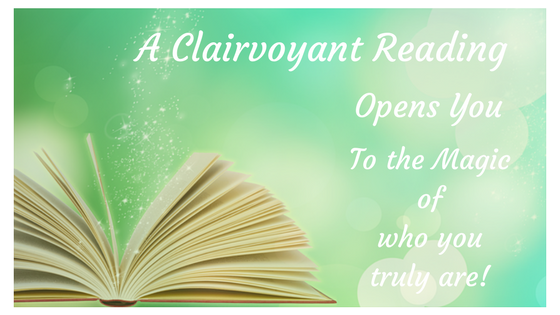 What is a Clairvoyant Reading Anyway? People often ask me what a Clairvoyant Reading is. There are many ways to respond to this depending on the person answering. What I share here is from my experience giving and receiving hundreds of clairvoyant readings over the years. I want to start out first by saying everyone has the ability to tune into the world of energy. Everything is made of energy and we are all perfectly, beautifully equipped to pick up and respond to the energy around us. Just think of the last time you thought of a friend and then they called you! There are many ways to tune into energy, and Clairvoyance or “clear seeing” is just one way. In a reading, I am looking at the deepest aspects of a person or situation, asking to be shown what they need to hear for the highest outcome. People come to see me with all sorts of things they want help around – relationship issues, work and career questions, money and health concerns, or just wanting to feel happier and freer in their lives. No matter what the issue clients come in with, I see people always need the same thing – to be reconnected to their own truth as a wise and powerful Spirit equipped with their own answers. Life can get crazy for all of us, and we all have beliefs and messages that aren’t our truth, that can block us from living the life we are here to live. We can be carrying old family patterns or the imprints from challenging past events. These all show up as energetic blocks in our space, but can be tucked away out of our conscious awareness. A reading can shine a bright light in the furthest corners of ourselves. We get disconnected from ourselves and a Clairvoyant Reading reconnects us directly with our unique Divine Guidance System. 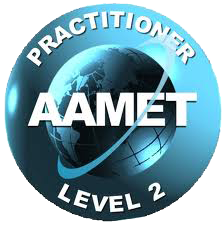 Before I begin a session I set the intention to be shown what my client’s Highest Intention is in a particular situation. I am tuning into the lessons they have come here to learn, their soul gifts and strengths, and next wise steps for them. I see this information in images, colors, and patterns that are communicating just what my client needs to hear. In a Clairvoyant Reading many cool things can happen – often the Spirit guides and helpers of a client make an appearance with helpful messages, suggestions and support. (And I assure you they are our biggest cheerleading squad!) A past life or 2 might show itself when pertinent, and although I am not formally trained as a medium, sometimes the spirit of a friend or relative who has passed on will step in for a visit and word of insight. All kinds of magic can show up in the space of Spirit, the space of Love, Humor, and Infinite Possibility! Another wonderful aspect about a Clairvoyant Reading is the shifts that occur during and after a session. Something amazing happens when we are truly seen in the Light of Clarity and Deep Compassion. We not only gain great insights, but some of our most stubborn patterns, even those coming through our ancestral line, can loosen and be released more easily. The way is then cleared for us to step more fully into the free being we truly are. A session lasts around an hour, is done in person or long distance over phone or Skype (yes energy appears the same no matter the distance) and includes a recording. Many clients report that listening to the recording again brings even deeper levels of clarity and shifts. Typically there are tips and practices for people to take away to try, that come up naturally from the reading. At the end of a session clients often remark that they have never felt seen and known so deeply. They leave feeling light, grounded, and clear with a feeling of new possibilities opening in front of them. It’s amazing when we make space for old, heavy energies to leave, what is left is US and that feels wonderful! If you are struggling or feeling stuck right now, a Clairvoyant Reading may be just what is needed to bring insight to old patterns that aren’t working and help you shift into a freer, more joyful space in your life. 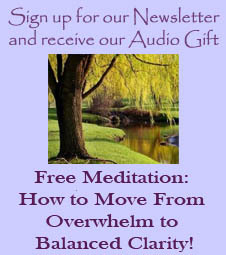 Connect with me at https://www.embraceyourradianttruth.com/contact-me. I would love to hear more about what is going on and explore how a Clairvoyant Reading might be a help. “It’s been a year since I’ve been getting Kristine’s help regularly and I can wholeheartedly say that I owe being where I am today to her incredible guidance, wisdom, healing and loving support. I needed help in my business with getting clear on what my mission is and what the blocks that were eluding my awareness were. Again and again she helped me do just that, and each time I’ve come more fully into the insights, guidance and shifts that have resulted from our sessions. So I went to the next level of my growth and then to the next.